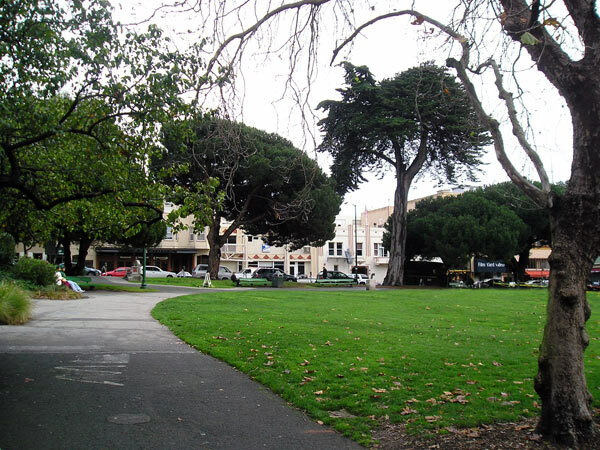 Located in the Italian North Beach neighborhood and one of the city’s first three parks, Washington Square was identified as open space in William Eddy’s 1849 plan for San Francisco. 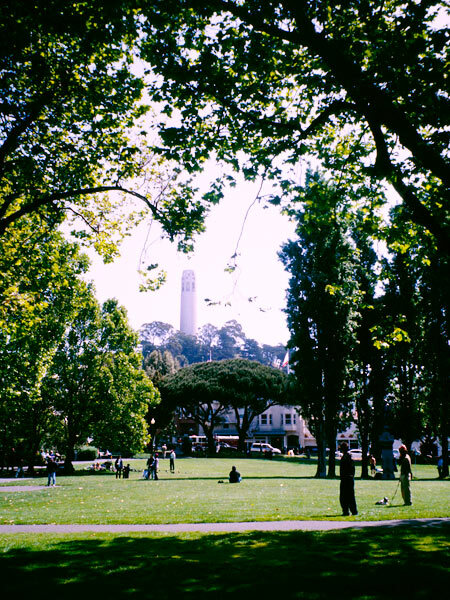 The site sat relatively unchanged until 1860, when a chain gang was put to work grading the land and planting and maintaining the lawn. 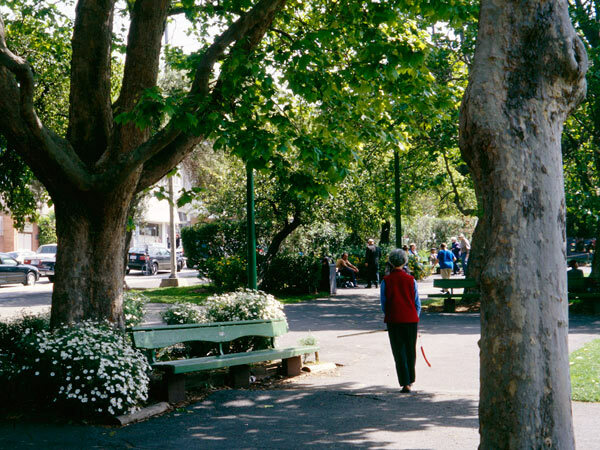 In the 1870s trees were planted and a picket fence was erected around the perimeter, with diagonal pathways connecting across the park. 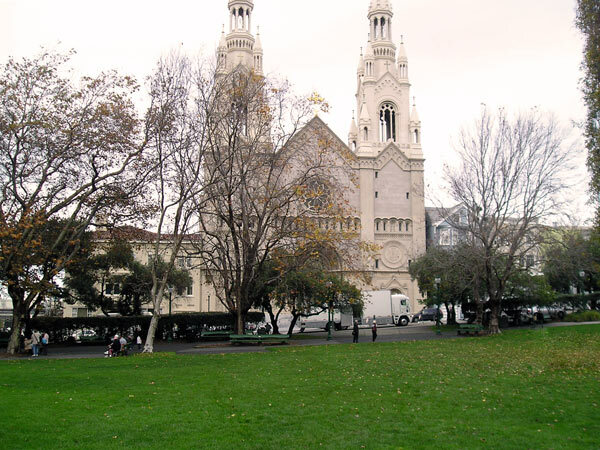 The Church of Saints Peter and Paul was completed in 1924 on Filbert Street, creating a city-wide landmark on the park’s northern edge. 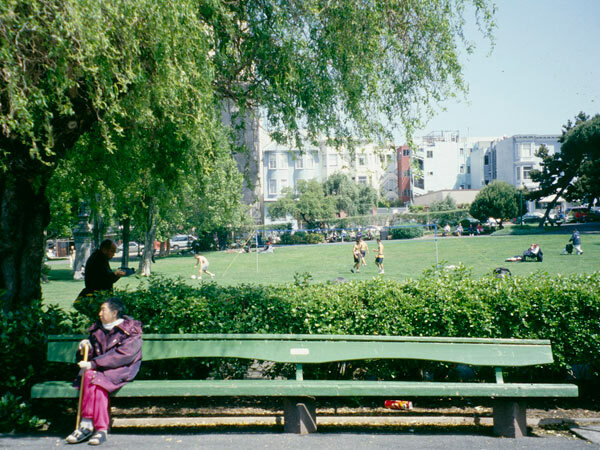 In 1957, landscape architect Lawrence Halprin created a new master plan for the space, with final plans executed by Douglas Baylis. 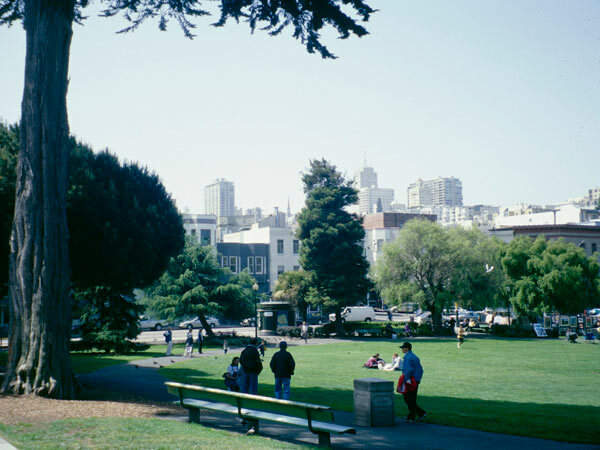 Completed in 1958, their design opened up the center of the park with lawn for recreational use and established curving paths lined with trees and benches along the edge. 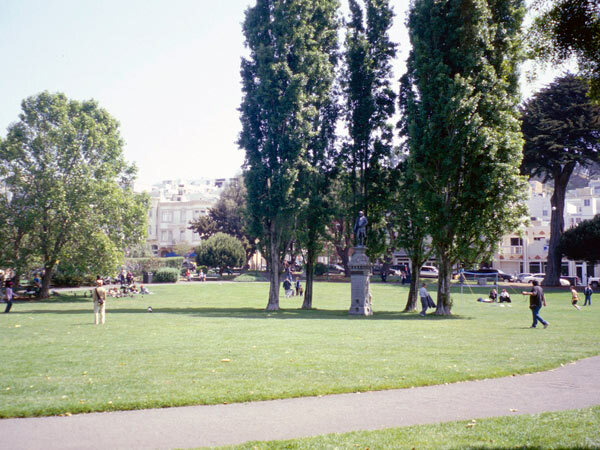 A statue of Benjamin Franklin with six Lombardy poplars surrounding it sits in the center of the lawn, a gift to the city in 1879 that once served as a public drinking fountain. A statue by Haig Partigian near Columbus Avenue honors San Francisco’s volunteer firefighters, while a playground occupies the park’s northwest corner. 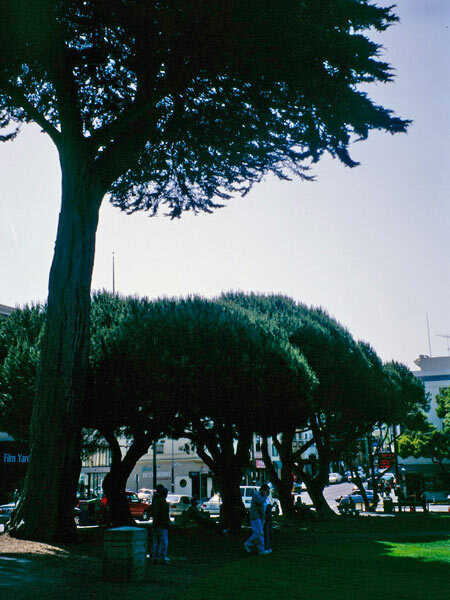 Washington Square was designated a San Francisco Landmark in 1999, the first park in the city to gain this designation.